I worked in an office for nearly fifteen years before I went freelance. I’d stop and chat with friends and colleagues by the water cooler or coffee machine. There was always someone to talk to; sometimes it was difficult to knuckle down to the job, so social was the environment. The experience is certainly different from that of my prior office life and it requires a different mindset, but need it be isolating? Or was Roux onto something when he reminds us of the different ways of being alone? I asked some of my freelance editorial colleagues about how they manage a life of working from home. The following is a summary of our collective wisdom on how to generate your very own freelance water cooler when you need it, and bathe in the quietness when you don’t. Many of us become freelance because it suits our needs – moving house, moving country, redundancy, parenting, disability, and caring for dependents are just some of the reasons why people move their work base from the office to the home. These changes can bring rewards but also challenges, forcing us to withdraw from the traditional and easily accessible friendship and professional groups that we’d previously relied on. Some of the contributors to this article highlighted how having young children has provided them with much-needed human contact at the school gates. But many of us still miss the “office banter”, the “colleague” element – Jo Allen summed it up well, referring to “those people who do the same or similar jobs so you can swap and share ideas: the manager who always supports your ideas; the people who are there to confirm your decisions; the security of responsibilities understood; and the confidence of knowing how to do the job”. Our discussions highlighted one thing above all else: Facebook. Yes, editorial association-based discussion lists, LinkedIn boards, Twitter and Google+ all came up as recommended spaces for connecting with like-minded colleagues in similar working environments, but Facebook stood out as the place to go to meet, chat, share ideas, and let off steam. Facebook is the ultimate freelance water cooler. Several people actually wondered how they ever coped without it, and one person commented that he’s not sure he’d still be freelance were it not for Facebook. I particularly like the fact that it’s so easy to differentiate one’s public image from the more personal posts that might be limited to friends, down to the private messaging options for the one-on-one chat. Using online networking forums means you don't ever have to feel like you’re working on our own even if there's no one else in the room. The other favoured resource for combating feelings of loneliness was the good old-fashioned face-to-face meet. It requires a lot more effort than dipping into your Twitter account, but the rewards are huge. Several contributors commented on the benefits reaped from regular attendance at their local society chapter, and Eva Blaskovic lamented the fact that she didn’t have as much time as she’d like to take advantage of more workshops and functions. If there isn't a local group near to you, you could always follow the lead of Helen Stevens and set one up! Joining your national editorial freelancing society may be a critical first step in accessing colleagues who face the same professional and personal challenges as you, as well as providing excellent social and learning opportunities. To find your local, regional or national freelance editorial group, visit the Editing & Proofreading Societies page. See also the Networking section of the Copyeditors’ Knowledge Base, curated by Katharine O’Moore-Klopf – a hugely comprehensive resource for freelancers. Of course, you needn’t limit yourself to editorial groups. “I’m also looking into various local small business networking groups – there seem to be quite a few nearby that are specifically for women or mothers,” commented Abi Saffrey. And another colleague is pursuing an MA, which gives her valuable face-to-face time with adults. Sara Peacock emphasized the value of joining hobby-based groups, such as a choir or knitting group, and Wendy Toole explained how, prior to the internet era, she took a series of minor part-time jobs, which gave her both additional income and social contact with other people. “Scope out a decent coffee shop – having the odd couple of hours working in a different environment with people around makes you feel a lot less isolated and a lot more like you're just your own boss,” was a sound piece of advice from Gaz Haman. That got the thumbs-up from many of the discussants. It’s all about a change of scenery. Even if you’re not directly interacting with other people in a particular place, time spent outside your usual work space is an effective refresher. You can even incorporate your java time with your work – the cafe may not be the best place in which to do editorial tasks that require deep concentration, but it may be a space where you can catch up on emails, invoicing or any of your more general house-keeping tasks. One of the most innovative solutions was highlighted by both Sally Fildes-Moss and Kristine Hunt. Co-working is “where freelancers meet up to work alongside each other in places such as cafes” , enabling them “to feel less isolated, pick each other's brains, bounce ideas off one another and so on – or just to work in a less solitary environment”. ​Sally emphasized the fact that there is less pressure to market oneself in these situations, providing instead “a bit more of an office atmosphere than a networking atmosphere”. For an interesting case study of co-working, she recommends the following article: Co-working Could Bring Inspiration. Kristine points us towards Meetup, an online resource that helps you to join or create relevant local community groups – absolutely worth a gander if you’re feeling that isolation is getting on top of you and you’re stuck for ideas of how to move forward. I’m not joking – having a dog can be a sure-fire way to combat feelings of isolation. No, they won’t be able to bounce business ideas around with you and they won’t be able to advise you on how to deal with the frustrated author of the book you’re editing, but pets still make wonderful companions. My trusty Lab is always ready with a tail wag whenever I’m stressed by a deadline or tackling a particularly demanding proofreading job. And as Wendy Toole reminded us, dog walkers are usually sociable and you get work on your health – keeping you work fit and body fit. They keep your feet warm in winter, too. Turn on the radio for a while – listen to a talk show or music. Pop outside for a few minutes for some fresh air and get some natural light on your face – things always seem a little rosier afterwards. Phone a friend, partner or family member and a have a chat or arrange a meet. ​Is it isolation or solitude? ​The first question my colleague Kristine Hunt asked during our discussion is: “Why assume isolation is bad? I don't miss the office politics, formal clothing, jockeying for time off, etc. I'm not so much antisocial as one who enjoys quiet time alone, so freelancing at home is ideal in that regard.” Many of us felt the same way. Freelancing from home does require a different mindset, but once you’re in it, it can be quite hard to revert to old ways of working. To round off, Sarah Wright points to an illuminating article from Susan Cain in the New York Times Sunday Review, The Rise of the New Groupthink, in which she reminds us that being alone, and enjoying the attendant privacy and freedom from interruption, can be an intensely creative and rewarding experience. Many of us do need our water coolers, online or off, but we can also enjoy the solitude that our freelance homeworking status brings us. Do you work on your own? Do you have a set of tips or tricks to combat feelings of isolation? Or do you revel in the solitude you derive from home-based freelancing? Please feel free to share your experiences in the Comments section. ​Contributors: Many thanks to my generous editorial colleagues who took the time share their thoughts and experiences: Abi Saffrey, Corbett Brown, Eva Blaskovic, Gaz Haman, Helen Stevens, Hester Higton, Jo Allen, Kristine Hunt, Sally Fildes-Moss, Sara Peacock, Sarah Wright, and Wendy Toole. And Katharine O'Moore-Klopf (@KOKedit), in her post 'How to Keep Your Introversion from Getting in Your Way Professionally' (http://editor-mom.blogspot.com/2011/02/hope-to-keep-your-introversion-from.html), tells us how to make the most of our preference for working alone. Hi Averill. Thanks for sharing those links. You've raised an important point since this post was focussing on people who might crave company, whereas of course there are many freelancers for whom the opposite is true. I'll dig into those articles asap. All of these views confirm that there are many ways and many reasons to freelance. I've been offering "anti-isolation" tips for YEARS. I'm a major-league extrovert, but I've been freelancing from home full-time since 1984 and never felt isolated, even before all the Internet opportunities for connecting with colleagues and friends. You can join - and be active in - a professional organization (start a local chapter, if there isn't one where you live); not get the newspaper delivered, so you have to get out of the house to pick it up every day; make lunch and evening dates with people instead of waiting for them to call you; have a dog that must be walked - and do so at a dog park instead of the backyard; occasionally do work at the public library or a coffee shop/cyber cafe; join a local lecture or concert series; (nowadays) participate in e-mail discussion groups; etc. Hi Ruth - I agree with all the things you mentioned. I particularly like the way you advise taking action to NOT do things: e.g. don't get the paper delivered, thereby forcing yourself to get out and about. Thanks for sharing your advice. Hi Liz - thanks for the link to your Home Worker's Resolutions. These are excellent! It really works for some people to have things written down like this - a sort of covenant to yourself to do the best you can to take care of yourself and acknowledge what your own needs are. As a "newbie" to the wonderful and exciting world of freelancing I found the article and comments extremely interesting. Up until 6 months ago I worked in a very busy environment meeting 30/40 people a day, all who wanted to chat and discuss their problems. Now I'm at home working and enjoying the stressfree (!) environment. At the moment I enjoy the peaceful solitude in which I work, but I do have my "watercooler" moments. I'm fortunate(?) in that my husband also works from home so we meet at a set time in the kitchen for a cuppa and chat. One day a week I work as a volunteer at Blists Hill Victorian Museum, which is local to me, where I dress in costume and talk to visitors and school children about life in Victorian times. This then gives me a complete break from my office/home and enables me to socialise with completely different people. Hello Pauline. Thanks for your comment and for sharing two wonderful ways in which you manage your need for company. A date by the kettle - now that's the way to do it! I took a part-time job managing an academic journal on a university campus partly because I missed office companionship. But I ended up in an out-of-the-way office with no real co-workers except for a student intern a few hours a week. Commuting for forty minutes to work in virtual solitude in the middle of a busy campus made me feel more isolated than I had been working from home. I returned to full-bore freelancing about a year ago and feel much MORE connected. Yes, most of my communication is now digital, but I have found a huge community of people interested in the same issues I am interested in; even if I don't meet them face to face. And I also have time to go to lunch with friends I never saw while I was working, chat with my son every day after school, and have long conversations with the dog. I am far less lonely working at home than I was in my office. Hi Tammy - thanks for sharing your experiences. You reminded me of something that wasn't addressed in the article - huge amounts of time (and money) are saved because of the three-minute commutes we benefit from (I confess, though, I used to enjoy the 50 minutes of so of enforced reading time that I took on the Tube twice a day!). And if that floats your boat, Richard, why not?! You'll hear no argument from me. Great post! I'm researching proofreading and have found your blog to be very interesting. I am a young (22) newspaper sub-editor and am thinking about trying out a little freelance proofreading on the side. I work in a busy newsroom and just can't get the feel for it - perhaps I'm a little introverted by nature! I am the type of person who likes to get stuck in when I'm working, and office banter gets in the way a little! I'm currently trying to figure out how on earth I can be taken seriously when there are so many professional proofreaders with vast experience (like yourself!) out there. I suppose we all have to start somewhere! Hi Caria - thanks for your kind comments. If you are seriously considering freelance proofreading in addition to your newsroom job, take a look at the training archive on this blog. Perhaps it will give you some ideas about how to get started. It is a competitive field, but isn't any career these days? I'm sure there are people out there who would love to work in a newsroom but can't see how they could open that particular door, yet you've done it. As you say, everyone has to start somewhere and if you have an eye for detail, are prepared to knuckle down and get yourself trained, have patience and commitment to the task ahead of you, and take some time to think about how you could use your current skills and experience to bring something else to the field, I can't see why you wouldn't succeed and become part of the competition. Keep a look out for future posts that may help you on your journey - there are going to be features on focusing on your strengths when you're starting out, and also on developing a business plan, both of which may be useful for your planning. The Publishing Training Centre and the Society for Editors and Proofreaders are good places to get information if you are based in the UK. 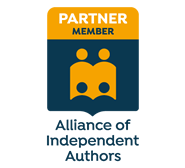 If you're based elsewhere on this rock, then check out the Resources page on this website - there are lists of editing and proofreading societies by country. Thank you so much for your advice. I'll definitely keep an eye out for those posts! A great perspective, Louise. Thanks so much for posting this. And thank you for your contribution to the article, Eva. Much appreciated! Great post! I have a dog who keeps me company while working at home and he's so helpful in easing boredom.